Weight: 70 cl. glass bottle. Ingredients: Sugar, vegetable cream, alcohol, cocoa, flavorings, natural hazelnut flavor. Gluten free. Contains soy. 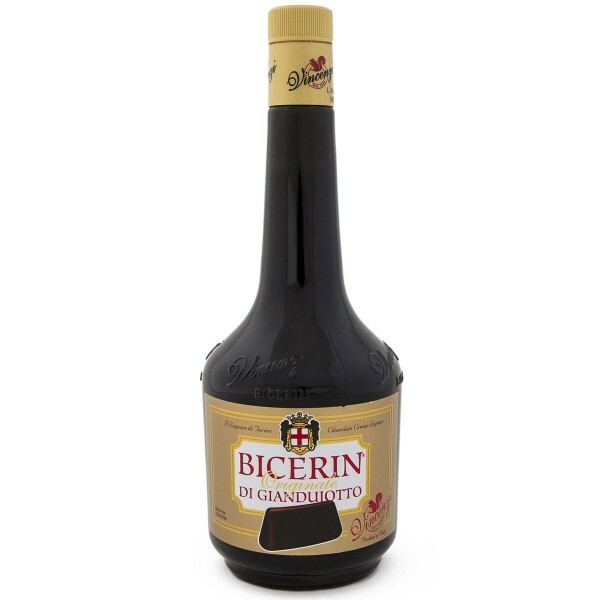 Description: Gianduja cream liqueur, going back to old Turin culture and tradition, served in all the city’s cafes since the early nineteenth century. Like a delicious “giandujotto” melted in alcohol. Drink it straight, with one ice cube, or warm with whipped cream. Pour it over coffee or ice cream, or try it with fruit in syrup for dessert! (alcohol content 15°). Producer: Nuove Distillerie Vincenzi Srl. Conservation: Store in a cool dry place and protect from sunlight after opening.